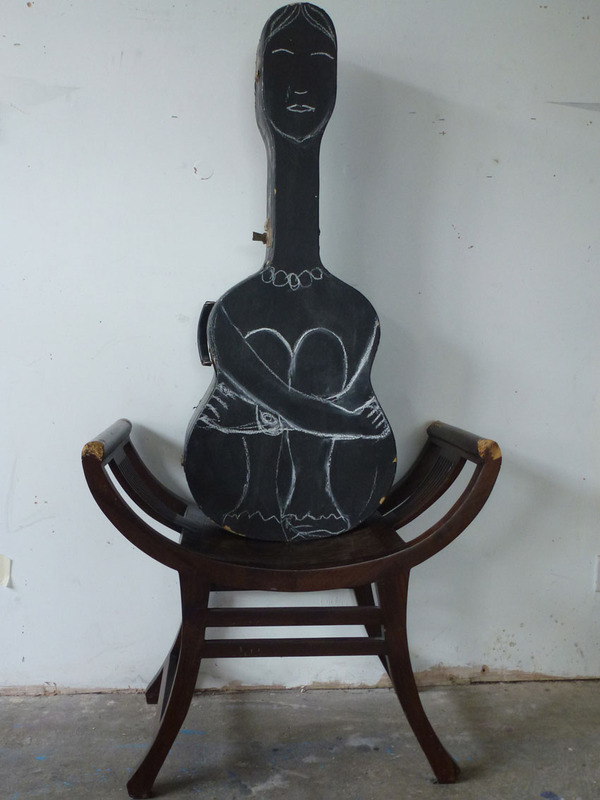 Woman is a simple drawing on top of old guitar case. It is simple yet phenomenal and enjoyable transformation. Creating art evolve from seeing another meaning and depth in shapes of things.